Carbon monoxide can come from anything that burns a carbon-based fuel (gasoline, propane, charcoal, oil etc.) It can be created by engines, gas generators, cooking ranges, heaters etc. CO acts a lot like air. It doesn’t rise or fall, but spreads evenly throughout an enclosed space and is very toxic. It can cause headache, dizziness, nausea, redness to the face and fatigue. These symptoms are similar to those of sea sickness or the flu. Eventually, CO leads to loss of consciousness and eventually, death. 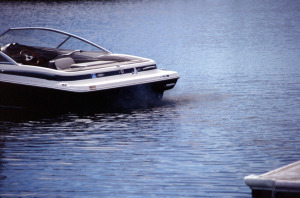 Since carbon monoxide is colourless, odourless and is approximately the same weight as air, the best prevention is to ensure that the boat is well ventilated.